The pub has been a social and community hub in Ireland for decades. It is where local people go not just to consume alcohol, but to meet with friends and family for a good time, or to ‘have the craic’ as the Irish people themselves put it. It is hard to define what it is exactly that makes the Irish pub so special, but there must be something very attractive to outsiders as the concept has been replicated in over 7,000 establishments outside of Ireland. However, these pubs are often criticized for lacking authenticity and are often shunned by the Irish. Nevertheless, some landlords have managed to get things right and are able to offer a similar experience to local Irish pubs instead of the Irish theme pub approach which is common nowadays. 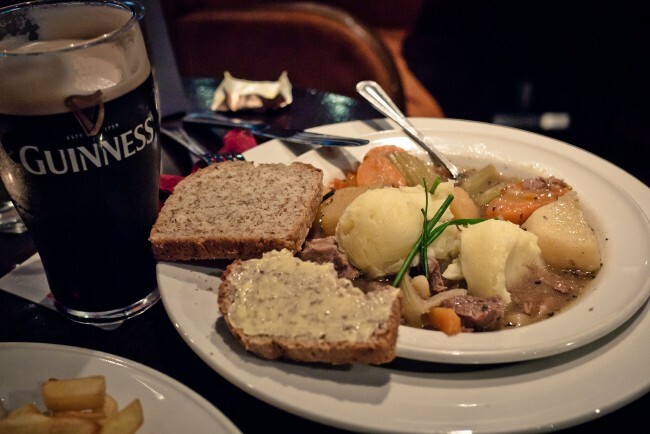 Here are a selection of the most authentic Irish pubs across Europe. Flamenca Beach Centro Comercial, Playa Flamenca, Costa Blanca, Spain. This is one of a few Irish pubs in the area and is certainly the best choice in terms of sticking to the original formula. More reminiscent of a bar in an Irish city centre rather than the local pubs the country is known for, Temple Bar offers a wide variety of drinks and a lively atmosphere. Friendly staff and a wide selection of drinks make up for what it lacking and overall, this is a good choice for a bit of Irish ‘craic’. Via Nazionale, 17, 00184 Roma, Italy. For somewhere with a location right by Piazza Repubblica Square and Termini Station, Flann O’Brien’s seems to have found a way to stop swarms of tourists diluting its authentic feel. Perhaps the best thing about this pub is the food which is on par with Irish ‘pub grub’. Despite its large space and emphasis on an extensive food menu, Flann O’Brien’s was able to separate its bar space and restaurant very well. Meals could be eaten at the bar, but those who came exclusively for the food could be seated away from punters who are there only for the sports and the half decent pints of Guinness. The sports coverage is another reason to recommend the place. That and the very Irish-esque semi-circular booths from where matches can be viewed. 1075 Budapest, Madách Imre tér 5, Hungary. Publin is a cosy Irish bar located on a side street of central Budapest. The decor is the first thing that catches your eye upon entering as it recreates the atmosphere of a real country bar in Ireland. The bartender here is friendly and will play some traditional music if an Irish brogue is heard. Publin is more of a place to go for a quiet drink and a natter. The best thing about this pub is the price – it serves Irish drinks at a cheaper price than they do in Ireland, something which is sure to set well with Irish people who find themselves holidaying in Budapest. Irish bars throughout the world are often known to serve drinks at ‘Irish prices’ (prices which they charge in Ireland), so it was nice that Publin bucked this trend. The Lir is located in a peaceful, residential area in Berlin. Unfortunately, such a nice location comes with noise restrictions so The Lir is not the place to go if you are looking for music. What it does have though is a big screen where live sports are shown including hurling and GAA matches. Friendly staff are also on the cards as well as a good pint and some delicious food. The decor of the bar is spot on when compared to a typical bar in the Irish countryside – Not a tacky sign or picture to be found. 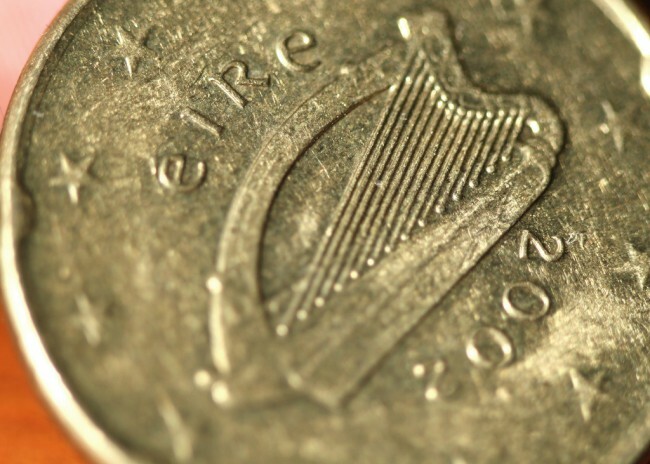 Harp on 50c Coin. Photo by David Dennis / FlickrCC. Friendly staff and tasty grub can also be found in Berlin at The Irish Harp. It has traditional food on the menu, but also likes to dabble in dishes which are more unique. The staff seem to know exactly what Irish people want and will bring vinegar and brown sauce with your meal without even having to ask. The Irish Harp has live music each weekend and a weekly quiz, and also show live sports. There is one small negative about The Irish Harp in that it is sometimes more reminiscent of a hotel bar rather than a local pub. Depending on the crowd on the night, it can either have a more of a restaurant feel, or is a lively pub. Nevertheless, this is a place worth taking a visit to whether it be for the food, drink or entertainment. 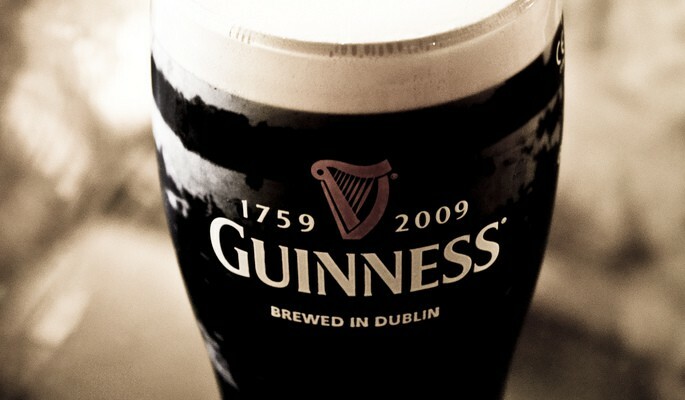 With over 7,000 Irish pubs worldwide, this list is sure to have missed a few worthy of a mention. If you have even been in an Irish pub where they got things 100% right, share your experience in the comments below.